You will see the Ringstraße, the street surrounding the center of Vienna and ist famous historical buildings and monuments. You can take a look at the Museum of Applied Arts, the State Opera House, the Museum of Fine Arts and the Museum of Natural History, the House of Parliament, the Burgtheater and the City Hall, the University as well as the Votiv Church. 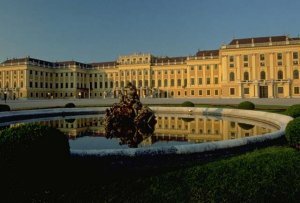 The highlight of this tour is the gorgeous Schönbrunn Palace, the summer residence of the Habsburg family. You will see the rooms where Maria Theresia and Kaiser Franz Joseph lived and worked. On your way back to the center, you will see Belvedere Palace, the summer residence of Prinz Eugen.